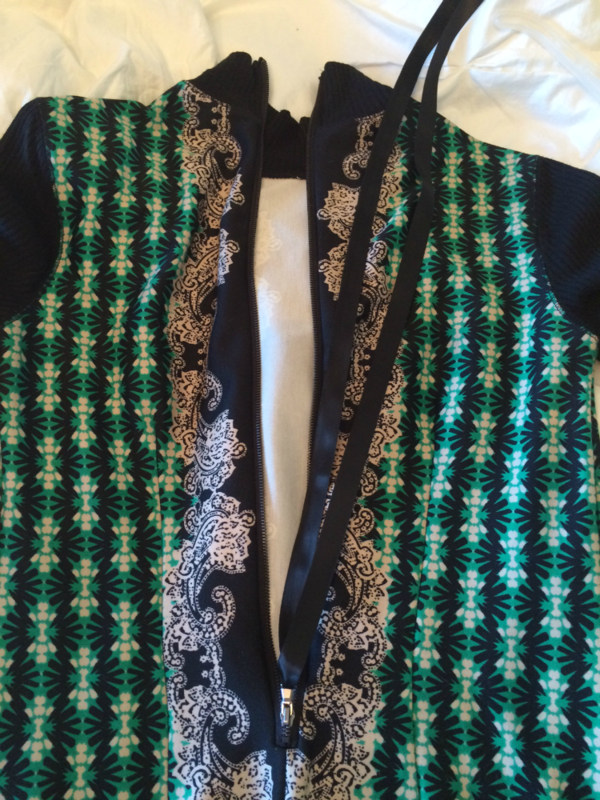 Zipping up your own dress can sometimes be a challenge! Here is a quick hack that every girl should know. The best part is that all you will need for this hack is a piece of ribbon (or thread, string, or even dental floss will do in a pinch) and possibly a clothespin. Let’s get started! 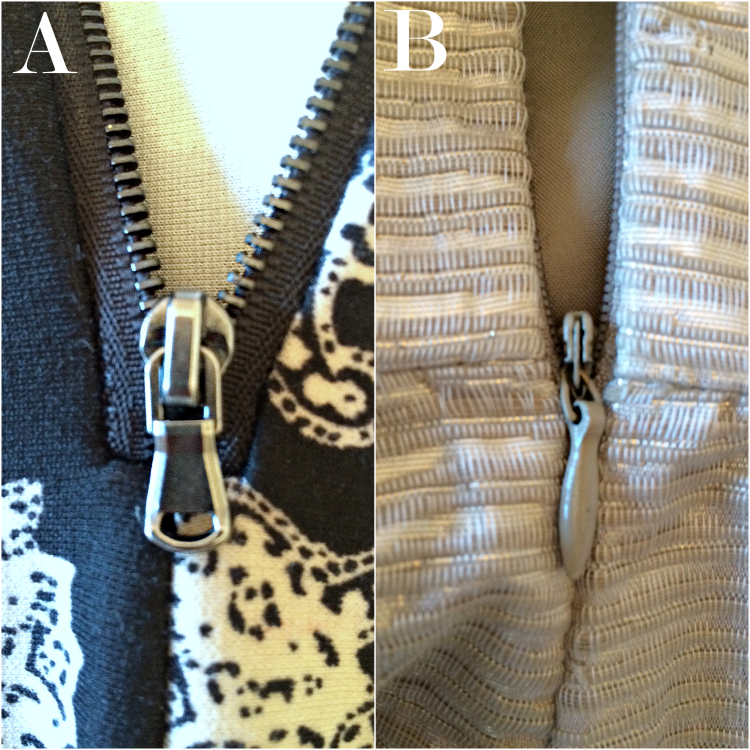 Step 1: Determine if your zipper looks like A or B below. If your zipper head has a hole in the zipper like picture A, then all you will need to zip up your dress is a long piece of ribbon. If the zipper head looks like B, then in addition to the ribbon you will also need a clothespin. Go gather your supplies! Step 2: Thread your ribbon through the zipper hole and extend the length of the ribbon all the way up to the dress shoulder as shown below. 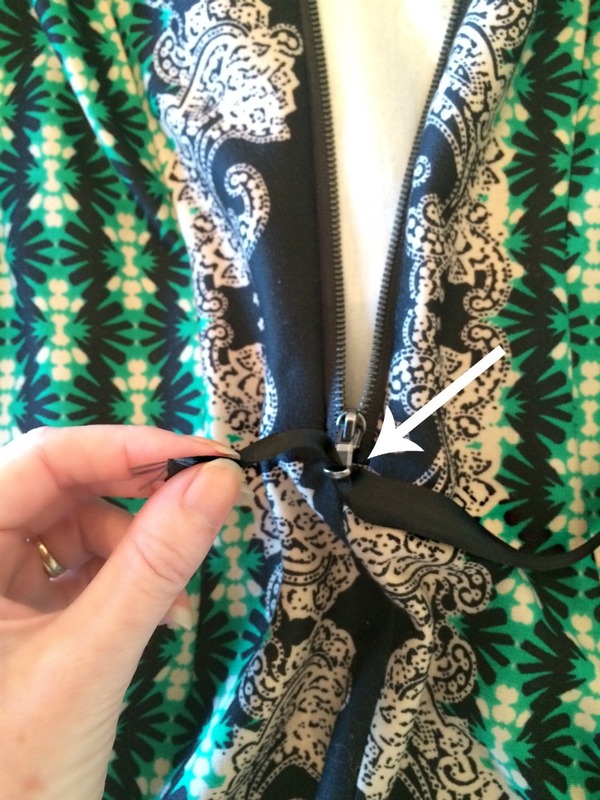 Once you thread your ribbon through the zipper hole, make sure you have enough ribbon to easily grab both ends at the shoulder. If your zipper head does not have a hole, then simply tie one end of the ribbon to a tight clothespin and clip the clothespin to the zipper head as pictured below. Tip: Be sure to use a clothespin with a tight spring to prevent it from coming off the zipper head when pulled. Step 3: Put your dress on, reach behind you and grab the ribbon over your shoulder and pull the ribbon until your dress is zipped. Remove ribbon (or clothespin) and you are done! This works like a charm for me! 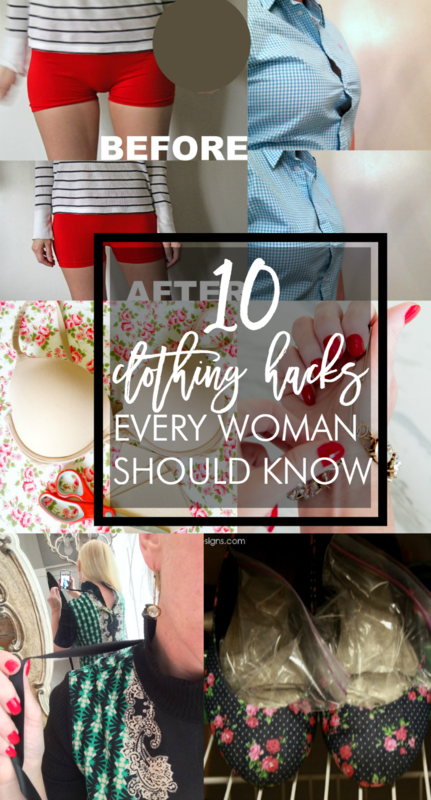 If you liked this post, please check out 10 Clothing Hacks Every Woman Should Know. 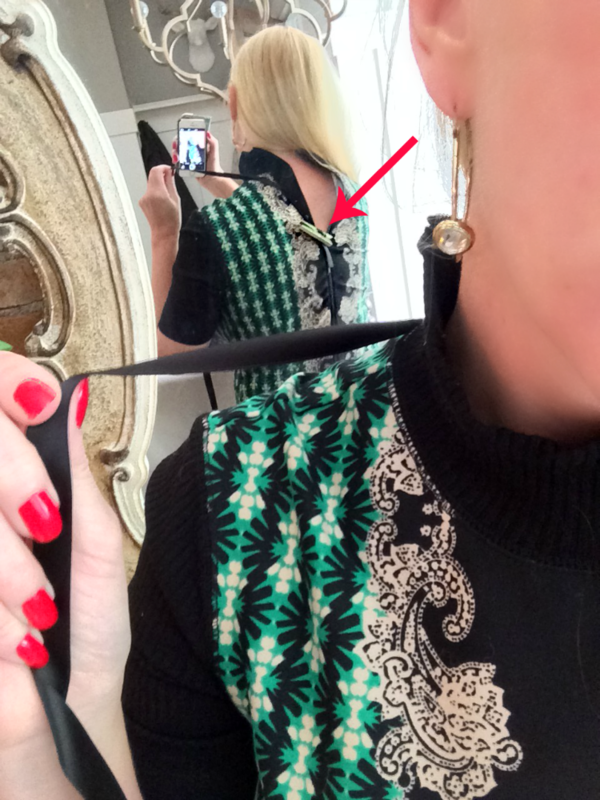 As far as a zipper pull, I purchased an antique necklace from the local thrift store to wear with a dress of mine. Since i rarely get to wear this necklace, one day by accident I had to go to a social event that required dressing up. 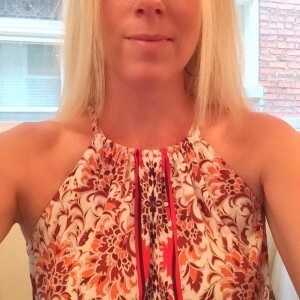 I love this one particular dress, but the zipper is impossible to zip up by myself and I have no one in my house to ask to help me, so I came up with an ingenious way to use the old beaded necklace. I used the clip (the one that is used to close the necklace) and inserted the clip into the zipper pull, and pulled on the necklace. My tip worked like a charm, and the necklace is so long that it is super easy to grab a hold of and pull clear up my back, and now I can wear this dress anytime I want. I can also buy other dresses with zippers that I once avoided buying because it is hard to zipper alone. I now keep this necklace in my drawer so I have a handy zipper puller. Goodwill and Salvation Army Thrift Stores, and antique stores have many of these old fashioned necklaces with the hooked clips for closure, for a few dollars. I hope this helps someone. This is a brilliant fix! I found another way to zip up zippers too, but it’s not a DIY. 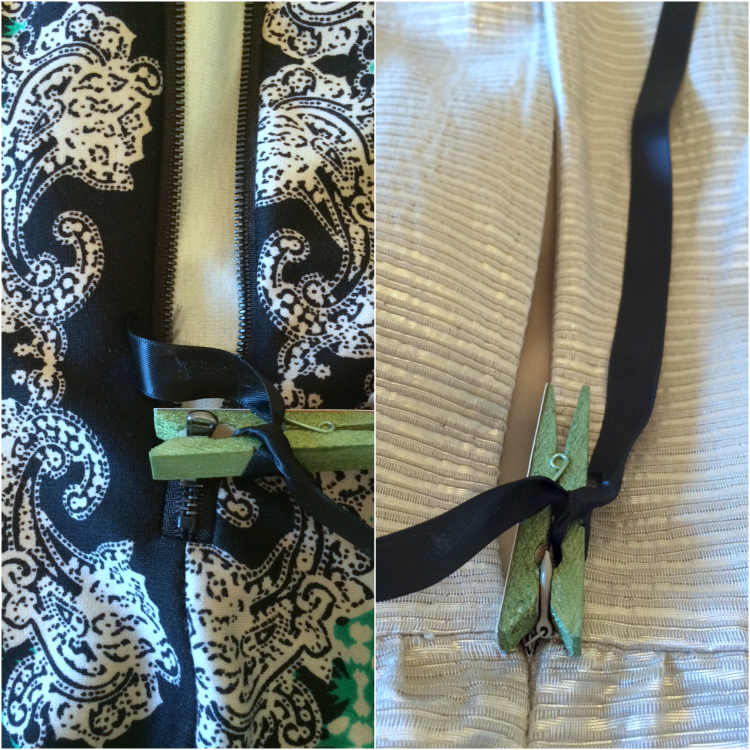 This company called Zip My Dress makes a zipper puller that makes a high-quality clamp that can pull up your zipper with a string. I tried it with the DIY clothespin but it was too thick for the tiny zipper I had. Thanks for the great posts!! This is really helpful. I just found this amazing Jewellery that zips up your dress! Calld the Zipper Pull by Ms. Dress Up. I just bought one and it works fantastic. Thanks! I’ve numerous dresses zipping up the back – thanks to the “sadistic-guy-designer-who-loves-to-imagine-women-suffering-just-because-they-bought-your-item’! PLUS THIS IS A BIGGIE TIP -and I’ve told lots of people – no-one seemed to know this. Notice how yellow your teeth look when you wear a white-white blouse? DON”T! Wear a creme blouse – never white – that is unless your teeth really are, or are NOW, the fake ‘Hollywood-bleached-too-many-hours’ look. TRY IT! You’ll not only be aware of this on yourself but you’ll begin telling everyone you know. None of your friends – SALES PEOPLE IN LADIES DEPARTMENTS DO NOT KNOW THIS LITTLE TRICK TO INSTANTLY HAVE WHITE, WHITE TEETH! Even salespeople in the high fashion houses do not know this trick – I’ve told Oscar de la Renta, Gucci, Valentino, and so many more who had no idea. But, it seems this is why so many high fashion items ARE crafted in a creme. Guess the actual designers know but keep it to themselves. Whatever – now YOU know!. P.S. ~ Why can’t “they” make this box bigger and make the writing is visible to someone wearing glasses? Terrible little thing, this hole for comments is. Takes real persistence to write a hint, comment or complaint (Ya this is a real complaint!) AND, if you make a mistake and must correct it – Good Luck on that! Hint made u for the complaints – yes?